Michal has been a great help with helping us find the right home. He’s very familiar with the process, patient with all sorts of questions, very responsive and timely with communication, and has a great personality. Michal listened to my needs and negotiated a purchase that truly fit by budget and timelines. I felt that he went the extra mile to ensure the transaction was as smooth as possible. Michal Gook is someone with undeniable charisma and a magnetic personality. His energy and presence can fill a room! Buying an apartment in Yaletown with Michal Gook was one of our most positive buying experiences. He is extremely dedicated and reliable. He made himself completely available to us through the entire process and communicated in a timely fashion. Initially we were strangers, but almost instantly we felt we could trust him. His attention to detail is immaculate and we were at ease through the negotiation process and home inspection. Mr. Gook demonstrated a wealth of knowledge about the surrounding area! If there is anyone I would recommend to assist you in buying or selling in the downtown and surrounding area of Vancouver, it would be Michal Gook! He is professional, personable and very dedicated! He’s at the top of his game and his momentum is just going to continue building! Michal Gook did understood my requirements what i needed in my home and what made him stand out is the extra mile he went before and after the closing of my condo. I needed the keys on the day of closing by 4pm or so and Michal made sure he was in touch with sellers agent to get the keys from their office and give it to me the same day because i had to start my renovation project from next day as i had a limited time window to complete the reno work. There was issue with my washer and Michal did come to my place and inspected whats wrong with the washer and spend good amount of time to make sure that the washer works. He went that extra mile to help my family and make sure we do not face problems with appliances and are good to use. I would recommend Michal to friends, family and extended friends because he does know his job well and how to take care of the client’s needs in terms of house hunting. I wish him good luck for his future endeavours. Thank you MG you are a legend of knowledge humility patience and fun! Of all the realtors I was initially dealing with, Mike quickly stood out from the pack. Where as the other two realtors were pompous and expected me to work on their schedule, Mike was humble, kind and professional. Within a day, there was no looking back and Mike was our guy. He honestly took care of my every need and calmed the stress of making such a huge commitment. It has been over three months since we purchased our home and Mike still keeps in contact and offers advice on how to deal with some of the things that have popped up since we took possession. He was exactly what I needed and he has a life long client in both me and my family. Michal Gook did understood my requirements what i needed in my home and what made him stand out is the extra mile he went before and after the closing of my condo. I needed the keys on the day of closing by 4pm or so and Michal made sure he was in tocuh with sellers agent to get the keys from their office and give it to me the same day becuase i had to start my renovation project from next day as i had a limited time window to complete the reno work. There was issue with my washer and Michal did come to my place and inspected whats wrong with the washer and spend good amount of time to make sure that the washer works. He went that extra mile to help my family and make sure we do not face problems with appliances and are good to use. I would recommend Michal to friends, family and extended friends becasue he does know his job well and how to take care of the client’s needs in terms of house hunting. I wish him good luck for his future endeavors. 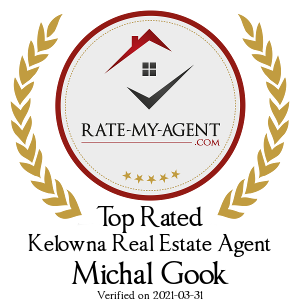 Date: 15-May-2017 Agent: Michal Gook Client: Jennifer Manning & Craig Sheather My partner and I had been searching online for nearly 3 years – for a very specific type of property, in a very specific area. We found the listing for this property online. I reached out to Zolo that same day, and Michal Gook responded promptly. We did not choose Michal specifically, but we have been very happy with Michal and his service. Michal is professional, personable and engaging, hard working, knowledgeable, and a quick learner. He goes above-and-beyond. We highly recommend Michal and have absolutely nothing negative to say about him. Zolo is very fortunate to have Michal as a representative.